The camping on the Dordogne River, situated in Argentat near Brive la Gaillard owns several swimming pools which are more and more demand in best campsites in the region. We decided to invest in a water park because we deeply think that our customers need to benefit from a swimming pool complex during their holidays. 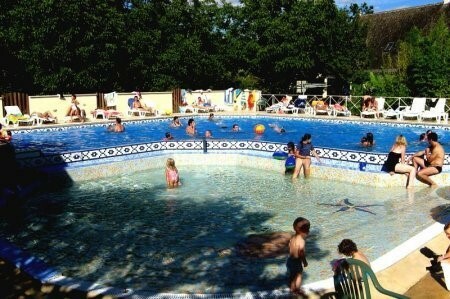 Even if the camping is along the Dordogne river, many people still prefer to enjoy water in a swimming pool. 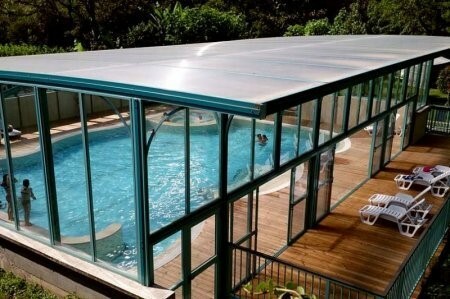 Moreover, it gives the opportunity for customers to enjoy swimming pool in Spring or in Fall. What are the advantages of a heated and indoor swimming pool? 1st advantage: There is no need to question if water is enough warm or not to go there. As soon as we would like to go to the swimming pool, we can immediately take our towel and go there. The heated and indoor swimming pool is opened from 9 am to 9pm, just below the reception of the camping. 2nd advantage: There is no season or time of the day to swim. Away from the daily stress, it is the best place to relax. We highly recommend the jacuzzi for that. 3rd advantage: The children feel there very safe. The swimming pool is surrounded by fences and gates. It is impossible for children under 10 years old to enter into the structure alone. What's the best? A night swim because this swim generally allows our body to relax a lot. It helps to relax the muscles of your body and why not to do a Yoga session after. 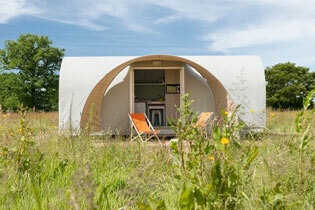 It is also so useful for a camping to have an outdoor swimming pool when beautiful days are coming in Summer. It is better to enjoy sun outside rather than in the indoor swimming pool. Also better to chill out close to the bar and let the body be tanned on deckchairs. Our outdoor swimming pool has a children's pool when they can enjoy water games such as water sprays. It is so useful for a camping to have a swimming pool. 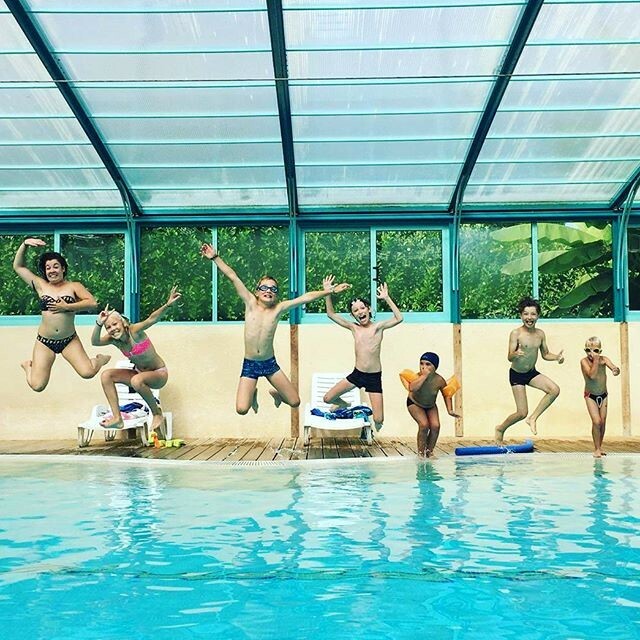 But best campsites in France or on the Dordogne river are compelled to have both indoor and outdoor swimming pools to increase as much as possible happiness for water activities. The camping Au Soleil d'Oc has preferred to multiply two times the square of its water park rather than to increase the number of mobil homes. 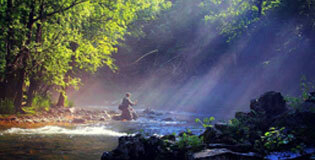 We strongly believe that a good swimming pool complex brings more happiness than anything on the camping.